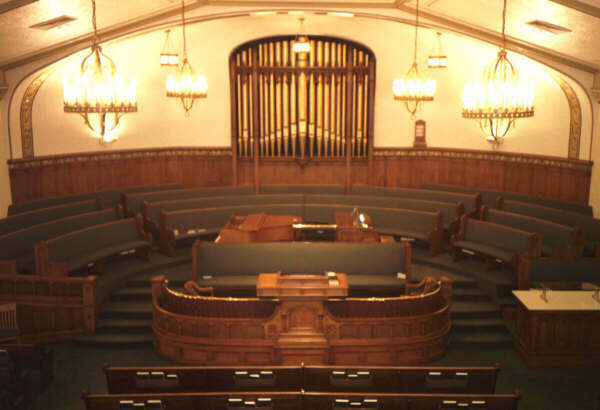 History: The organ was rebuilt in 1988 by H. Ronald Poll & Associates, Inc. of Salt Lake City, as the firm's opus 16. 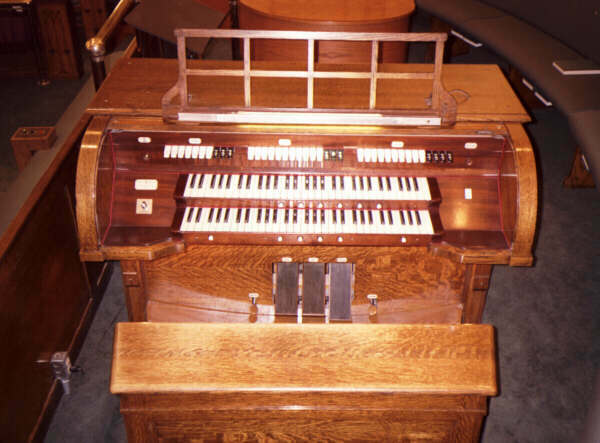 The rebuild included new stop actions, manual and pedal keyboards, key contacts, solid state switching, combination action, relay, swell controllers, tremolos, chime action, blower, and Fagot pipes. Other improvements included insulating the walls and installing new thermostatically controlled heaters. The old Vox humana stop was replaced by the Fagot; the rest of the pipework was retained and revoiced. Also retained were chests, reservoir/regulators, shutters, and console shell.